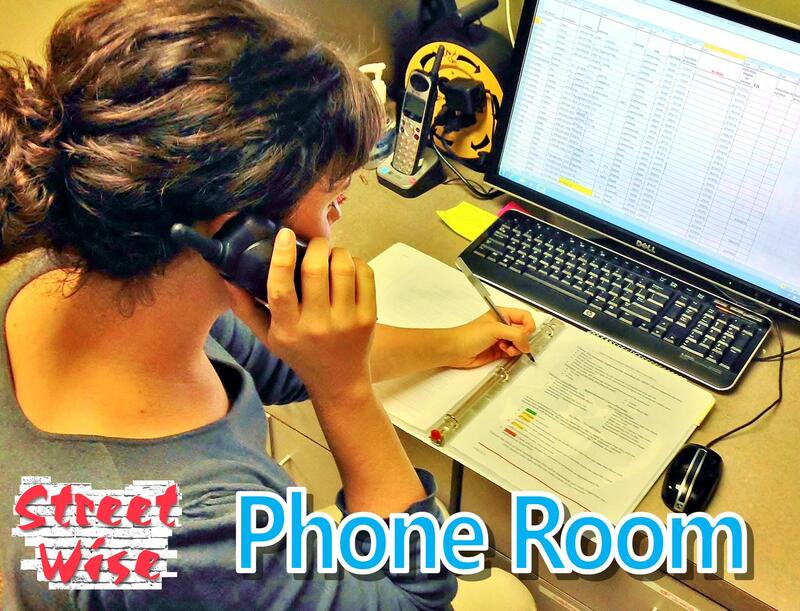 StreetWise makes it easy to get plugged in! Volunteers are the heartbeat of StreetWise and the hands and feet of Jesus! The Lord is moving in a mighty way at StreetWise, where lives are being changed, hope is being restored and God’s love is overflowing. 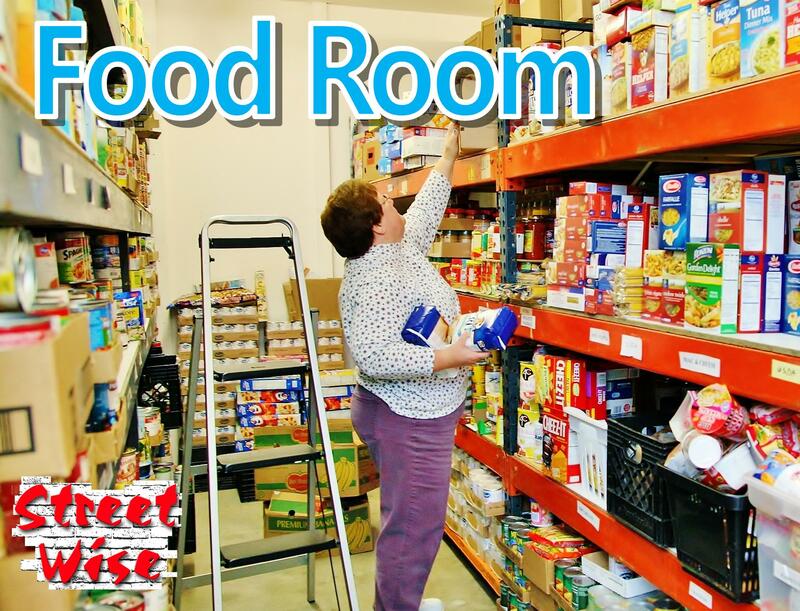 Volunteers regularly stock food, assist clients in our Daily Intake process, sort clothing, care for children, teach reading classes, greet guests, lead or assist with weekly Bible studies and even help children with homework. 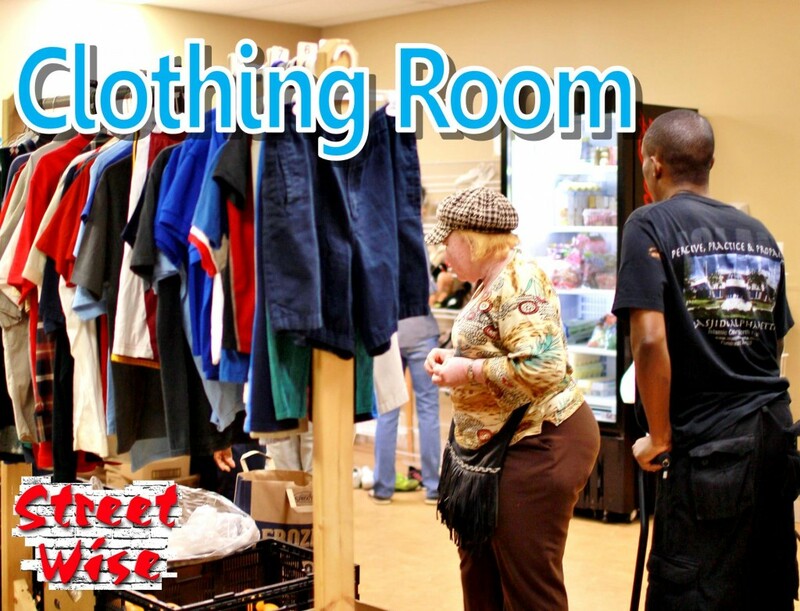 There are many different service opportunities at StreetWise every week, year-round. Whether you would like to volunteer with your church small group or business, or perhaps you are an individual who’s looking for an outlet to serve the community, we have a spot for you! Click the application type that you would like to submit. That’s it! We will follow up once we have received your application. StreetWise Georgia needs an army of volunteers to complete our Daily Intake process during appointment hours on Monday, Tuesday, and Thursday’s. There are many opportunities available each day as families come in at their scheduled times. If you see a position on the list that sounds interesting and would like to get involved, please contact us at: volunteer@streetwisegeorgia.org. We look forward to partnering with you! 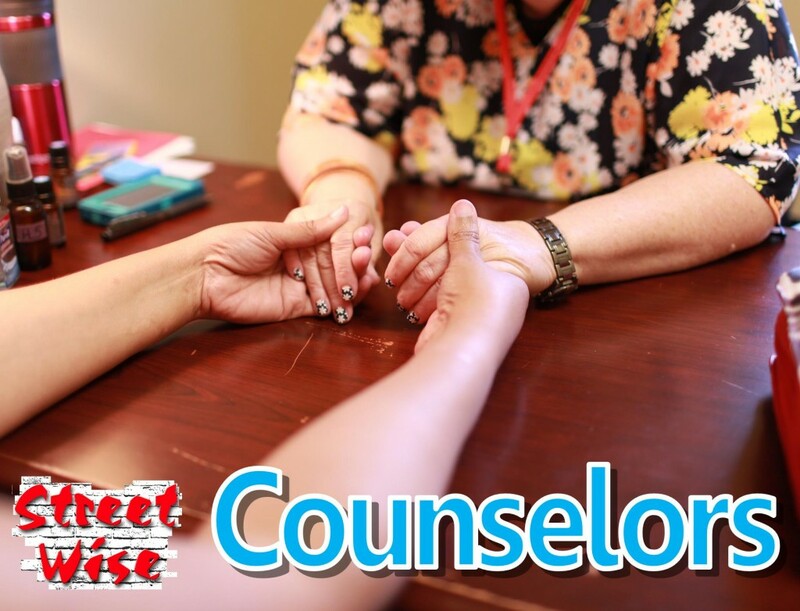 Counselors listen to Client needs and concerns, offer encouragement and guidance, pray with families and follow up after the appointment. We provide orientation and training. First impressions are important to every relationship. 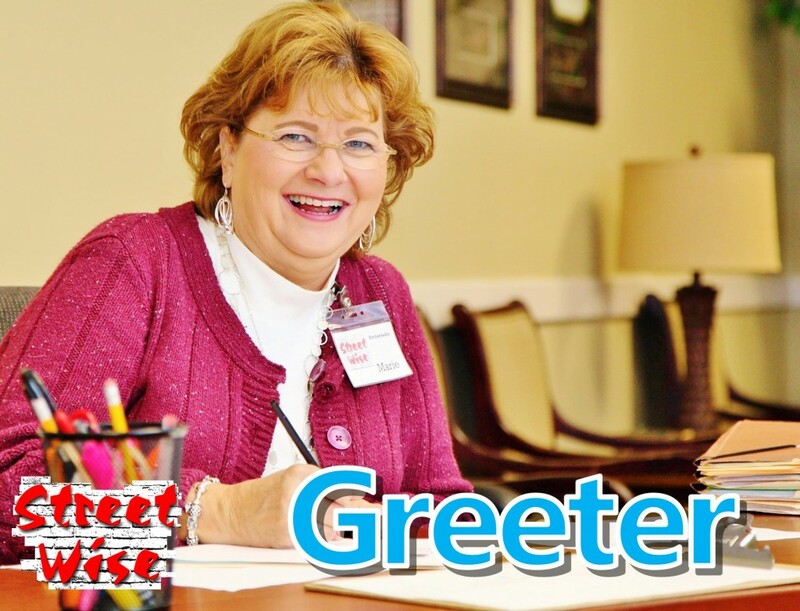 If you have the gift of smiling and can give our Guests a warm welcome, then we have a position for you! Acting as a personal shopper, this volunteer position is for those that love helping others find just what they need! Assisting with our Food Pantry is an absolute joy, packing food for the families and even walking them out to their cars at the end of their appointment! 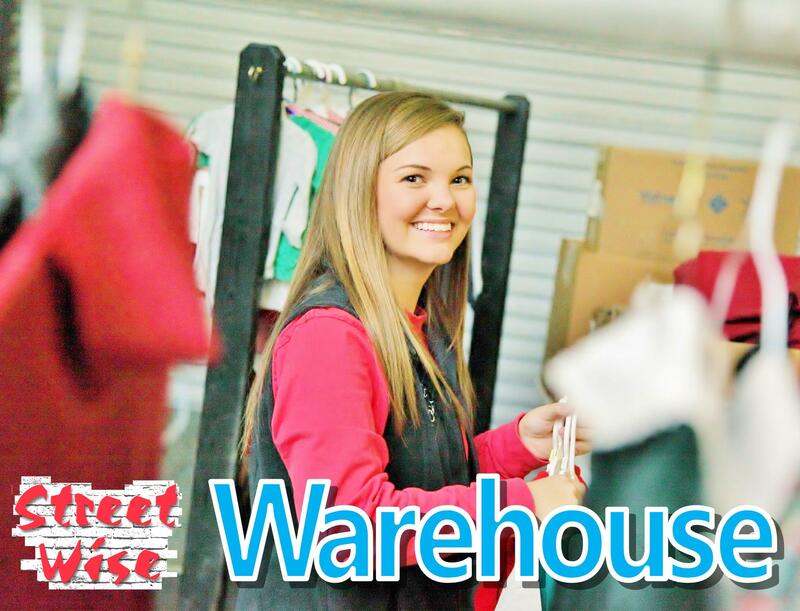 From sorting through produce to stocking clothes in the Clothing Room, the Warehouse has many positions available for those with a passion for behind-the-scenes service! Every car has a steering wheel, and this one is ours! Take charge in our center of operations as you schedule appointments, field phone calls and provide vital administrative support! On a daily basis, StreetWise Georgia is blessed with opportunities to pick up food products from local grocery stores. That means we need a lot of great drivers like you, ready at the wheel! Community events are a great way to get involved with StreetWise! These monthly programs provide Guests with fun, food, fellowship and faith. Perfect for large groups, families, couples and individuals seeking to serve their community! Check out all of our programs! 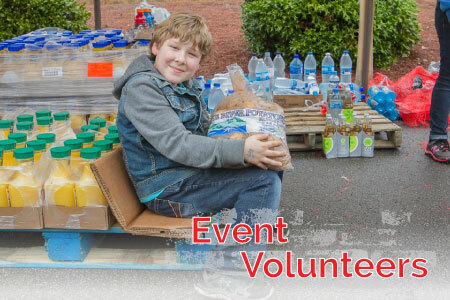 If you are interested in volunteering for an upcoming event or have any questions, please feel free to contact us at: volunteer@streetwisegeorgia.org.